Yamauchi, KDr Kiyoshi Yamauchi works in the Innovation of New Biomaterial Engineering Center at Tohoku University, Japan. Ohkata, IDr Ichizo Ohkata works for Piolax Medical Devices, Inc, Japan. Tsuchiya, K.Dr Koichi Tsuchiya works in the Hybrid Materials Center at the National Institute for Materials Science, Japan. Miyazaki, SProfessor Shuichi Miyazaki works in the Institute of Materials Science at the University of Tsukuba, Japan. 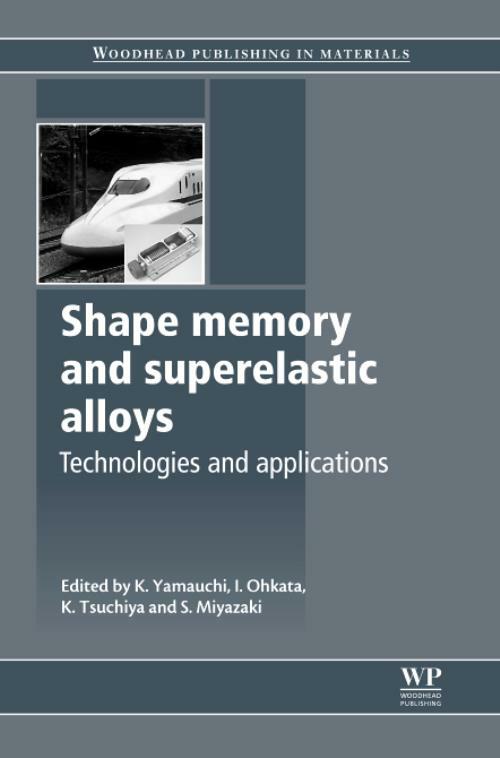 All four editors are members of the Association of Shape Memory Alloys (ASMA) and are widely renowned for their research expertise in the development of functional metallic materials, shape memory and superelastic alloys.